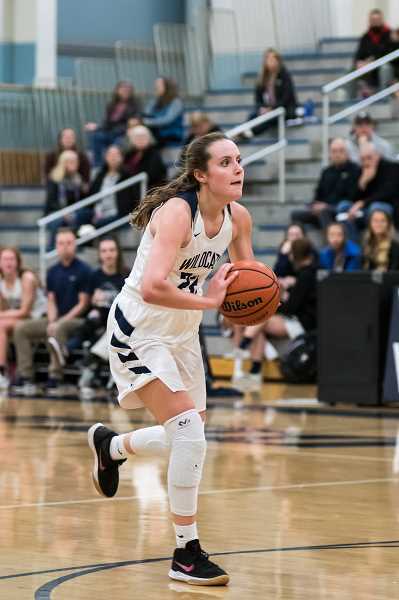 Wilsonville senior Cydney Gutridge has been nominated for the McDonald's All-American Games that will take place on March 27, 2019 in the State Farm Arena in Atlanta, Georgia. According to a press release, players from 46 states and Washington DC were nominated by their high school coaches, ADs, and other personnel. This will be part of the 42 annual All-American games. The final rosters for the games will be revealed on Thursday, Jan. 24 at 3 p.m. ET on ESPN's The Jump and 6 p.m. ET on SportsCenter. Gutridge is one of the leaders on the No. 1 ranked 5A team in the state, and has helped lead the team to a 4-0 start to the Northwest Oregon Conference (NWOC) season. The Wildcats (11-4 overall) are currently riding a 9-game win streak, and will face off with the Milwaukie Mustangs Tuesday, Jan. 22.